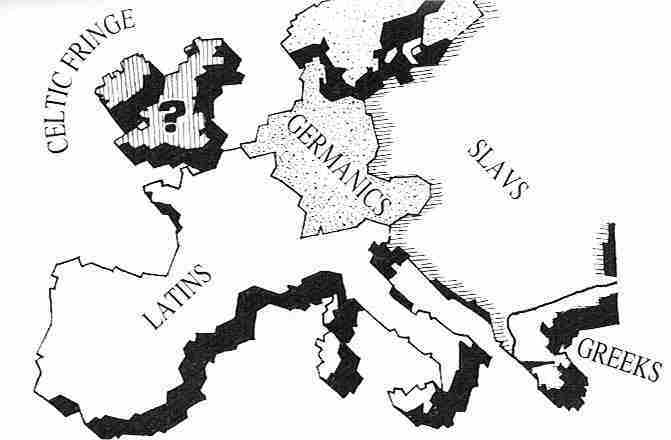 A broad-stroke view of European identity, provided by writer Richard Hill from his book 'We Europeans'. The following images are from The European Communications Group (and reproduced in Mr. Hill's book) and represent Eight Different Ways of Advertising a Hammer, each suited to a different European country and the characters of their citizens. 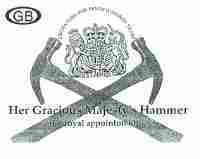 In royal obsessed Britain, the appeal is the royal seal of approval and stating that it is "Her Gracious Majesty's Hammer" of choice. In celebrity and fashion conscious France, "Le Hammer exquisite" is "Created exclusively for Catherine Deneuve by Maxim's of Paris". In precise Germany, the hammer is "Designed by German Hammer Scientists" and "Approved by Deutsches Hammer Institut". In love obsessed Italy, the hammer is assured "Irresistible to women" and dubbed the "Amore Hammer". In linguistically divided Belgium, "the linguistically correct hammers are exactly the same but totally different", offering "The French Speaker's Hammer" and "The Flemish Speaker's Hammer". In economical Holland, "The Dutch Economy Hammer" is a "Half price - Assemble yourself" option. 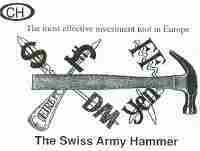 In financially efficient Switzerland, "The Swiss Army Hammer" is "The most effective investment tool in Europe". In environmentally conscious Sweden, "The environmentally safe, socially progressive Swedish hammer" claims "It doesn't hurt the nails". 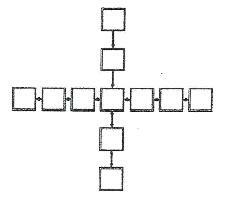 "Europublic" created this: "A cynic's view of European organisation charts". There appear to be lots of places on the web that compare native Italians to Americans, but for me the interesting comparison is between Italians and other Europeans. They live so close, share so much history, are joined together in economic and partial political unity, and yet Europeans are anything but homogenous. Luckily for me, this is of interest to others, and below I present some of their views, together with some of my own. More than anything, the show demonstrates that Italians do see themselves as different from the average European, and they can laugh about the differences. Interestingly, when a South American saw the show, he commented that you could replace the Italians with people from his country and the show would be just as true. Why are Latin Americans more like Italians than the Spanish who colonized most of the Americas? It’s a mystery, but some suggest it has to do with the 'Franco-effect' on Spanish character since the colonizing days. Most Italians will laughingly claim to have all these traits, and that many of them are harmful to the country as a whole. Italy is a founding member of the European Union, and the public is strongly supportive of the E.U. in every survey taken. The main reason given for this support is that most Italians believe that only a non-Italian force can bring order to Italian society and to the Italian nature. You often hear as evidence of this the statement that the only time the trains in Italy ran on time was when Germany ran the country. And this is usually said with a tinge of awe for German efficiency, and wry cynicism for Italian inefficiency, along with a dollop of sentimental longing for that time of efficiency to return. Will Italians feel more comfortable with the former Soviet Union countries joining the E.U. than will their northern neighbors? Recently, Italians insisted on dealing with the Albanian problems the E.U. was having, claiming a better understanding of the Albanian mentality. The E.U. was happy to let Italy be the lead country dealing with the Albanians, considered by many in Europe to be the biggest criminals on the continent. And in fact, the Italians were chaotically efficient in dealing with the Albanian criminals. But Italy is now busy processing a court case concerning corruption and bribery between Italian and Albanian companies and politicians, denting the Italian reputation just a bit. But another thing the show demonstrates is that Italians tend to idealize their European counterparts, and they also tend to exaggerate their own faults. For example, a young Italian who worked on summer for the E.U. verifying olive tree subsidy claims in Italy, had his belief in the native Italian criminal bent confirmed. He found that nearly every single claimant he investigated had added a zero after the number of olive trees he owned, multiplying by ten the subsidies he claimed. Those with 10 trees claimed 100. Those with 100 claimed 1000. And so on. But Italians are not the biggest or most imaginative at defrauding the E.U. That dishonor goes to the country that receives more farm subsidies than any other: France. A perfect example of the lengths gone to, and the ingenuity used to swindle the E.U. is the milk-cow slaughter subsidy. To reduce the milk-lake in Europe, the milk over-production, the E.U. offered money for each milk cow slaughtered. All the farmer had to do to receive the subsidy was to send the dead cow’s ear with a certificate from the slaughter-house. The temporary campaign was declared a great success, especially in France where they apparently slaughtered thousands of milk-cows. It was only later that people started commenting on the vast number of one-eared cows roaming French milk farms. The cows were very much alive, if a bit hard of hearing, and producing buckets of price-subsidized milk every week, while the E.U. was out millions of Euros. For some reason, I can’t imaging Italians doing the same thing to their cows to make a few bucks. 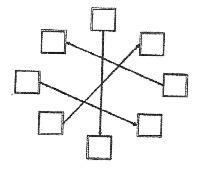 While Mr. Hill likes to stress that there are marked similarities between all Europeans of similar education levels and similar ages, he also enjoys pointing out the perceived and real differences. 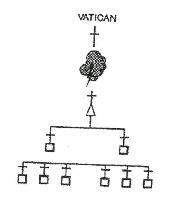 The perceived differences often have roots in history, both recent and ancient. Many have to do with visible minorities from various countries who travel or have emigrated within Europe. The minority then becomes the stereotype for the whole. Many economic migrants from Italy after the World War II created stereotypical images of Italians throughout Europe, for example. Generally speaking, these are some of the perceived European character strengths. Here are some popular descriptions of Italians, as opposed to other Europeans. There are countless European jokes based on these and other popular beliefs. Here are a few cited by Mr. Hill in his book We Europeans, and some from other sources. Heaven is where the police are British, the chefs French, the mechanics German, the lovers Italian, and it is all organized by the Swiss. Hell is where the chefs are British, the mechanics French, the lovers Swiss, the police German, and it is all organized by the Italians. A cruise ship captain has to convince the passengers of his sinking ship to jump overboard. He has to use a different approach with each European. He tells the English it would be unsporting of them not to jump. He tells the French it would be the smart thing to do. He tells the Germans that it is an order. And he tells the Italians that jumping overboard is forbidden. A cynical description of the ‘ideal’ European employee is that the employee should have: The internationalism of an Englishman, the humility of a Frenchman, the charm of a German, the linguistic ability of a Spaniard, the precision of an Italian, the road manners of a Belgian, the generosity of a Dutchman, the gaiety of a Swiss, the ready wit of a Scandinavian and the sensitivity of a Greek. The nightmare European has French moral courage, Italian fighting spirit, the British work ethic, and a German sense of humor. In short, he is a Belgian. Charles V, the Holy Roman Emperor said he spoke Spanish to God, Italian to women, French to men, and German to my horse. Bruno Bozzetto's Italian vs. European animation. 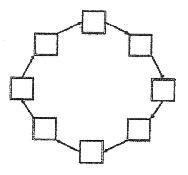 Click the lower left arrow to start the clip.